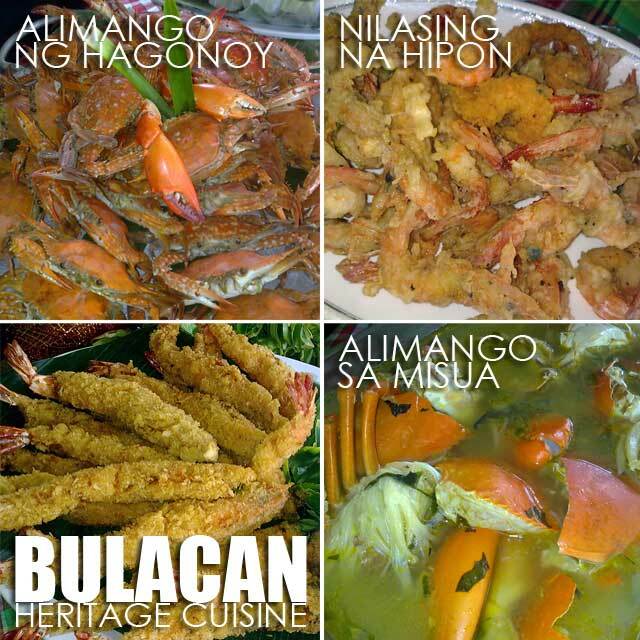 Bulacan: What can be called traditional Bulacan food? Last week, I got invited to deliver a lecture at a Bulacan heritage food forum and cooking competition in Paombong, Bulacan. 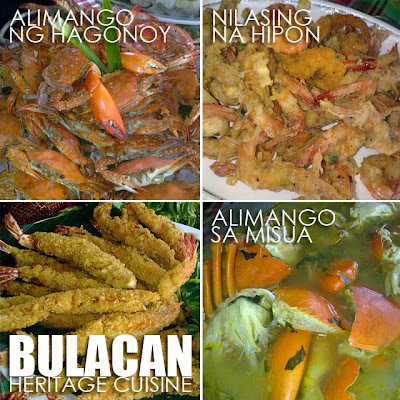 I was quite interested as to what can be considered traditional dishes of Bulacan. I was surprised to find out that there are some similarities between Pampanga and Bulacan when is comes to traditional food, particularly bringhi and the various frog dishes. 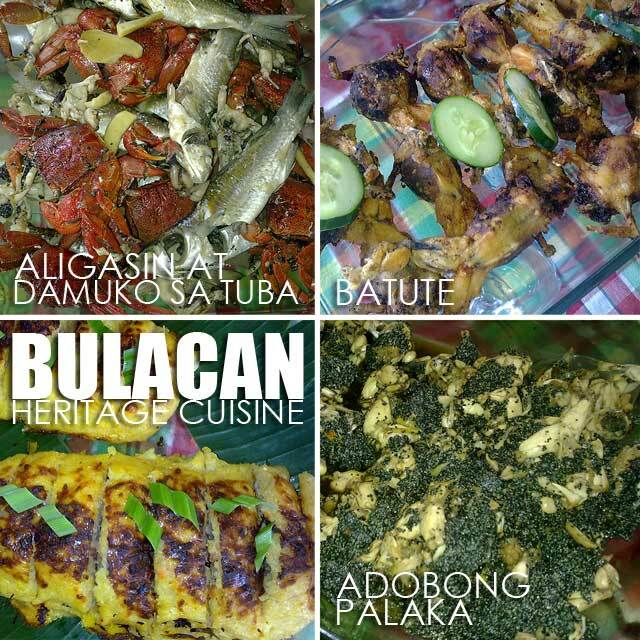 There was Batute, Adobong Palaka and Aligasin at Damuko sa Tuba. Bringhe ng Tagumpay is like the Pampanga bringhe although this one is wrapped in banana leaf cones that make servings good for one. 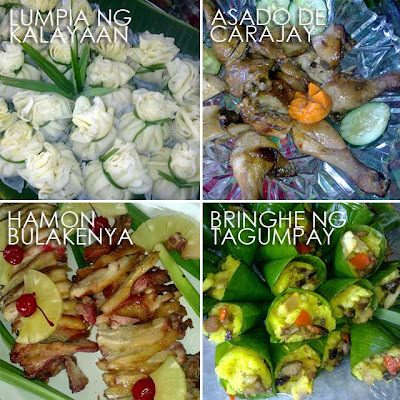 Also on the table was Lumpia ng Kalayaan, Hamon Bulakenya and Asado de Carajay, On the seafood list was Nilasing na Hipon, Alimango sa Misua, and Alimango ng Hagonoy which are from the coastal towns of Bulacan. What other traditional Bulacan dishes do you know of?